Born in 1967 in Turin, and based between Italy and Spain Paolo Verzone has been a member of Agence VU since 2002. For almost 30 years, Paolo Verzone has been photographing the world around him. At his beginnings, he covers the news as it appears in the pages of European and international magazines: a world in perpetual motion, ever so changing, which he observes with the distance of those not bound to the emergency of the moment. With rigor and eclecticism, he goes from news assignments to long term projects, from embedded documentary stories to posed portraits. From black and white to color, as well, and finally from analog to digital. Over time, his interest of the world is drawn more and more towards its people. He develops demanding sets of photographs made with a medium format view camera, that imposes a focus on the subject, presented full-length. Whether it is a set of portraits of Europeans at the beach, Seeuropeans (1994 / 2002), or the Moscow Project (1991 / 2011), produced in collaboration with Alessandro Albert, the sum of the people photographed reflect upon the multiplicity and singularity of each individual. 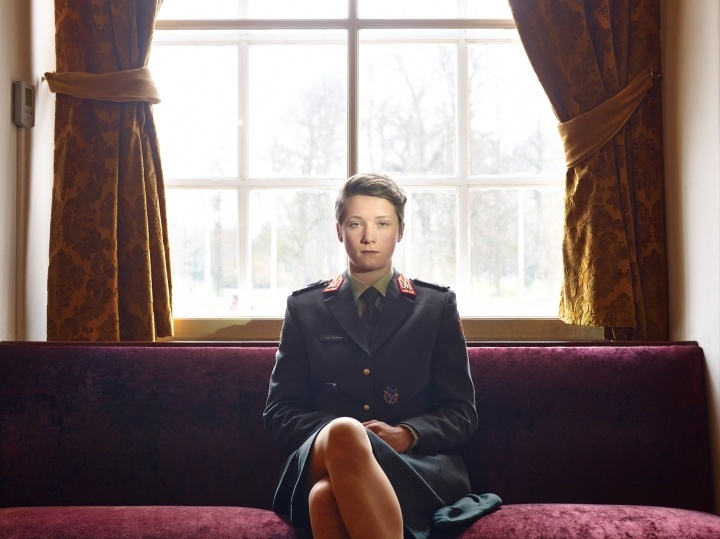 With his project on the cadets of the main European military academies, started in 2009, Paolo Verzone maps us contemporary Europe through a part of its youth, while questioning the European identity. He work for magazines such as: Time, National Geographic, Newsweek, Le Monde, The Independent, Sunday Times , Liberation, Vanity Fair, Geo, GQ, Amica, Rolling Stone, Marie Claire, Mare, Courier International, Das Magazin. Paolo Verzone was awarded at World Press Photo in 2000, 2009 and 2015. His photographs are part of different collections at the Victoria & Albert Museum, the Bibliothèque Nationale de France, and the Instituto Nazionale della Grafica, in Rome. Paolo is a Canon Ambassador since 2017.